Mercury is on your sign, so your partner is likely to get more attached to you this year. However, You may be a bit distant and protective of yourself during the first few months of 2019. Your sign will experience a strong eclipse, so you are likely to discover what you want in a relationship. You will need more affection and attention. You will learn to overcome your fears and take some risks, and a courageous and exciting year will be ahead of you. Thanks to this eclipse, 2019 will be the year for developing new hobbies and experiencing new lifestyles. You should try to discover what you like doing and what you enjoy the most such as exercising, traveling and doing something you have always wanted to do but never had the chance to actually do it. Your new hobbies will bring you more satisfaction than you expect. You will be lucky this year, and you will not face any significant difficulties. Everything will go smoothly in 2019 for you. You must say yes to attending new events and gatherings because you might meet someone special there. You will be pleased with your decision after attending something you never intend to in the first place. You will meet new people and learn to enjoy your time in a brand new way. It is likely that your relationship with this special person will end up in marriage. In other words, you will get the chance to meet your future partner in one of those social events. You will find love towards the end of the year, though. In the beginning, you may have some heartbreaks, but you will get over them easily and start waiting for your soulmate. When it happens, you will see it is worth to wait. You will not have any serious problem concerning your marriage this year. The only problem might be spending only a little time with your partner, but I am sure you will get over it with a good plan. Pregnancies are quite likely this year. If you are not planning to have a baby, you might get the good news from one of your family members. 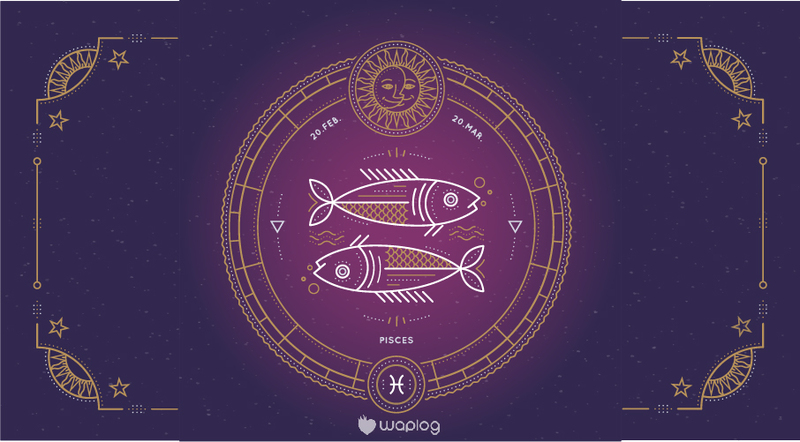 Some of the attached Pisces signs are likely to get a proposal ending with a good marriage this year. If you do not feel ready by then, you should delay setting a certain date for the wedding to decrease the pressure on you. Do not forget that the best time is when you feel completely ready. You need to try to have a good time when you are on a date. This is going to improve your relationship with your dates and protect you from heartbreaks because your relationships might not last long this year. You are a selfless person when it comes to the relationships. You need to be careful about yourself too, you should not give too much all the time. You have to evaluate people first and decide whether they deserve your kindness or not. Stop giving too much to other people without getting anything back.